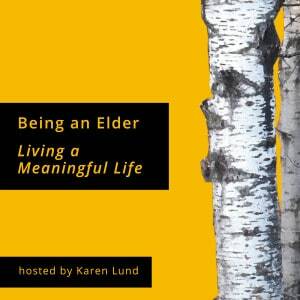 Being an Elder, Becoming a Treasure is now available on Amazon.com. You can still order your books from this website too. 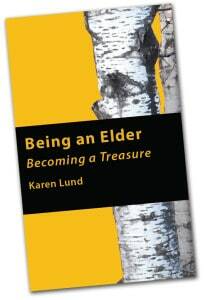 Click the book cover below for a link to the new Amazon listing. Check out the Karen’s new podcast show, Being an Elder, Living a Meaningful Life available now on iTunes and this website. To subscribe to the feed, simply click on one of the Subscribe colorful buttons in the footer of any page of this website. Join Karen Lund as she talks about Life is Good Being a Spiritual Elder in Episode 6. Join Karen Lund as she talks about Life is Good Being an Elder to the World in Episode 5. Join Karen Lund as she talks about Life is Good Being an Elder to the Community in Episode 4.